【Excellent Picture Quality】Equipped with 1080P&30FPS advanced image sensor andchipset allow you to discover the details in pristine colors and smooth on-screenmovements without lens distortion. Remote Pan/Tilt rotation from phone helpsyou capture wider field of vision anytime, anywhere. 【Motion/SoundDetection& Clear Night Vision】Automatical recording triggered by motion/sound detection(sound sensitivity≤-47db), Infrared lightsembedded for 17ft night vision, which also gives you fantastic night experienceeven in pitch dark. 【Crystal Two-way Audio】 Built-in mic and speakerwith 3D DNR, provide high quality auditory sense and talking effect, keep intouch with your baby when you miss him. 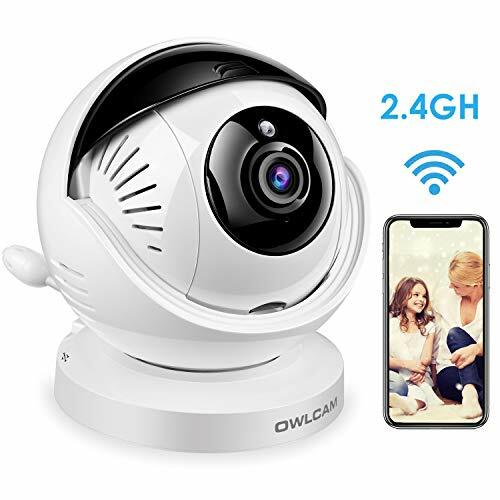 【Inhanced 2.4G Wifi Connection&more Friendly User Interface】Owlcam wifi camera module with accurate receiving sensitivity(11mbps-85dbm@8%), USB2.0 high-way mode, ensure wifi signal connect fast and remainstable, no longer nightmare for wifi connection, support high-speed cable network. Friendly user APP interfacebetter to help you quick setup and experience the amazing features. 【No Risk of Personal Privacy】Only unique account login is allowed for a camera, you can also close the privacy cover, still not at ease. 12-months warranty& lifetime tech support. ✡ 【CRYSTAL TWO WAY AUDIO】: The Home Camera is built-in microphone and speaker with 3D Digital Noise Reduction, providing high quality auditory sense and talking effect. You just remotely talk and listen with your family via mobile App, keep in touch with your baby when you miss him and want to talk to him. It also can be used for shops, meeting room, pets,nanny, elder monitor. ✡【CLEAR NIGHT VISION】: Even in the dark with the IR LED night vision up to 33 feet. 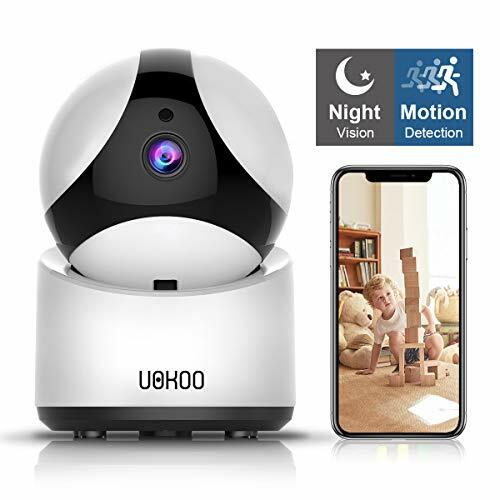 This home security camera gives you fantastic night experience even in pitch dark and full protection to see the whole room at night - not just a limited spotlight view at anytime of day or night. ✡ 【RELIABLE 2.4G WiFi CONNECTION】: Quick WiFi setup via mobile App on iPhone or Android smartphone. 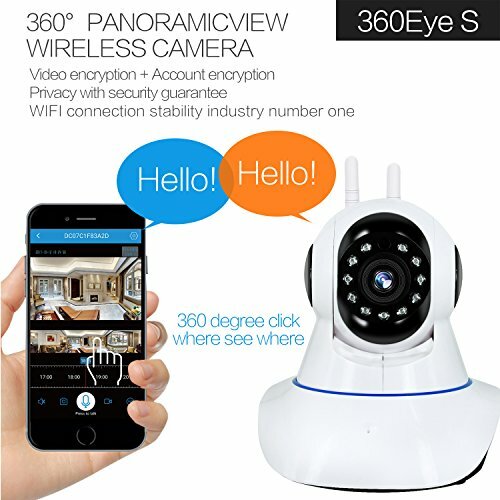 Wireless security camera supports remote access via mobile App anywhere and anytime. 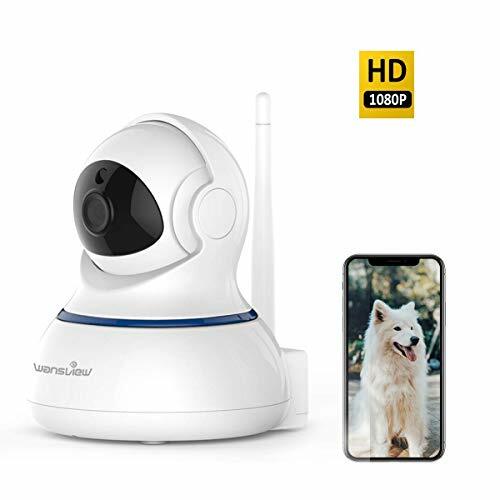 This security camera with Micro SD card slot (max 128GB supported), the videos can be saved and playbacked on Windows and Mac laptop without taking it out of camera. Support Windows and Mac 7/24 video recording, if camera be stolen, you can check your local computer to see what happened. 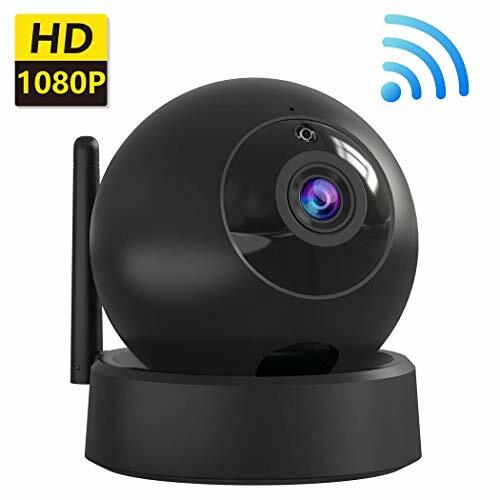 ✡【NO RISK of PERSONAL INFORMATION】: You have the direct connection with the wifi camera, the ip camera's video wont be saved on any servers or forwarded by manufacturer. IF YOU HAVE ANY PROBLEMS, PLEASE SEND EMAIL TO US. Free return & exchange service within 60 days and free technical assistance.We will always solve the problem for you. 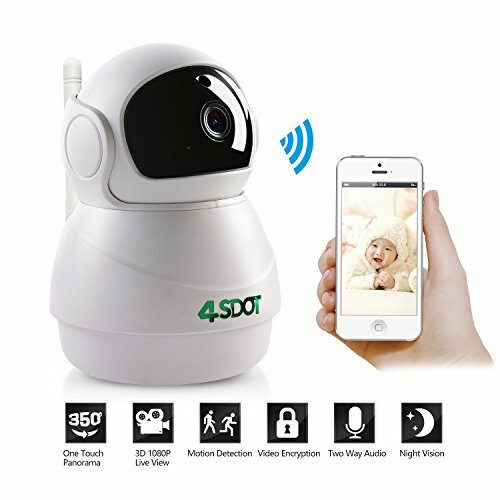 【Video Encryption Technology】: The unique encryption technology is adopted by this IP camera to save videos on micro SD card.Nobody can copy the SD card's video file through the card reader even when your camera or SD card is stolen.Video files in SD card can only be accessed by yourself in your own account. 【Pan & Tilt (Left, Right, Up, Down)】:You wouldn't stare at a wall all day - so why should your camera? 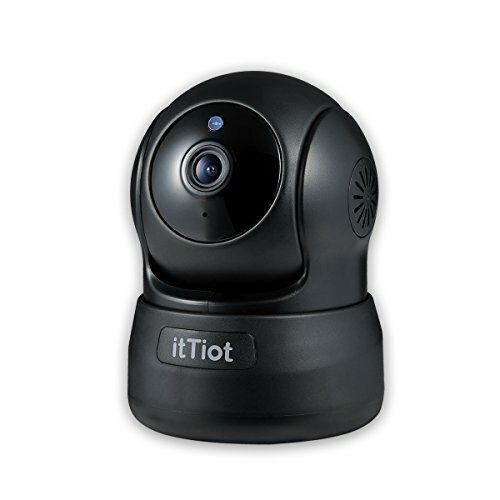 indoor cameras feature full pan and tilt for full looky-loo action. 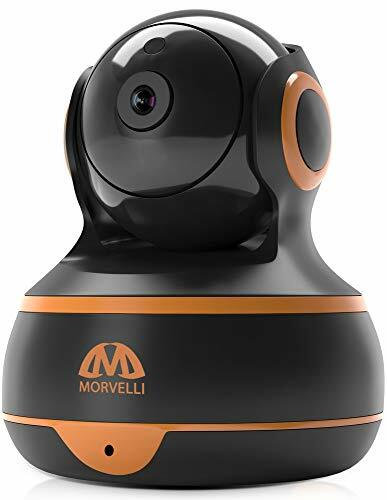 The smart camera can pan and tilt a full 350 degree and 120 degree, respectively, meaning that you'll be able to handle surveillance of large rooms with ease. You just use your fingers to swipe the live video screen from left to right, right to left, up to down, down to up to control it. 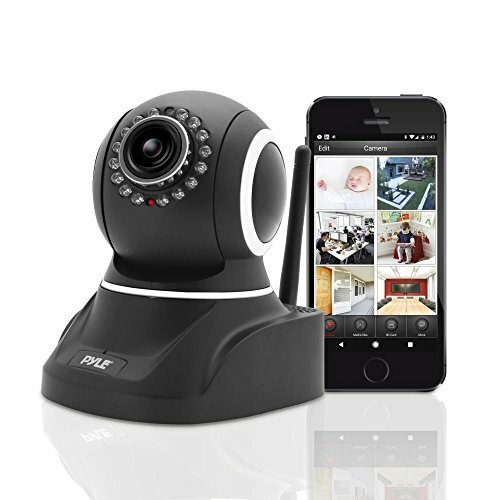 ★【Quick WIFI Connection】: Remote access to the wireless camera on Smartphone,Tablet,Mac or Windows PC. Quick WiFi setup via iSO or Andriod smartphone using 'Danale' APP. Windows PC and Apple Mac Software and http web browsers. 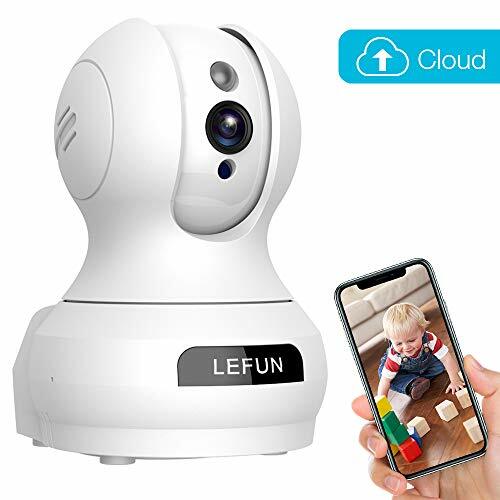 you may use it as a baby monitor to view your baby even you are outside home.Fooyou WIFI IP Camera also can work with Alexa is basically a three step installation process, Install APP , Log in and add camera. ★【Clear Two-way Audio&Night Vision】: Two Ways Voice Function is two parties to communicate at the same time, and hands-Free Mode.More easier for taking and responding in anywhere and anytine. Fantastic infrared Night Vision can protect your home in 24h even in dark pitch.Not only use in home, but for shops,office,meeting room,pets,nanny or elder monitor. 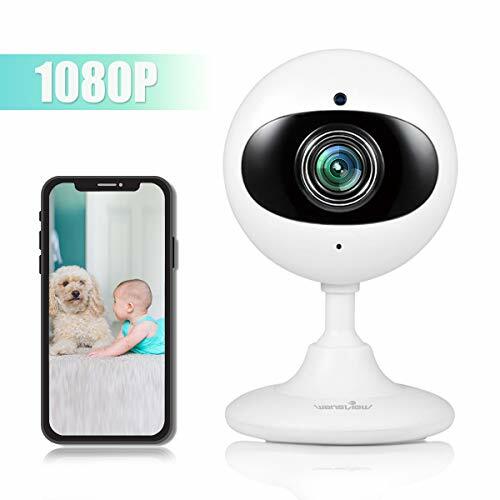 ★【Smart Pan/Tilt/Zoom and Panoramic Viewing】:Fooyou HD home camera has 100°wide-angle lens with 355°horizontal & 100°vertical rotation range, you just need click to see wherever you want in the panoramic screen. 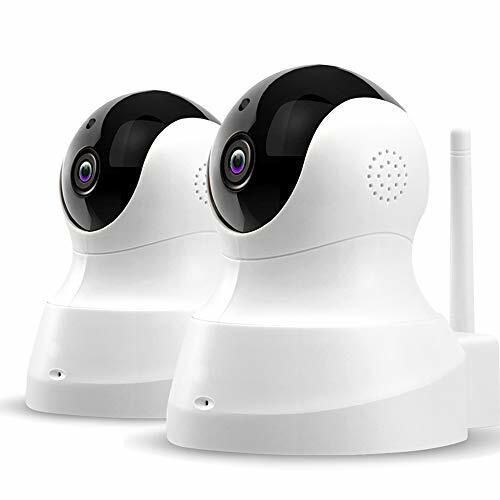 You can also add 4 of the baby monitors at most working as a indoor security camera system to guard your home in all directions. ★【Cloud & Local Storage】:Cloud storage lets you access video without the hassle of removing a storage card from the camera and inserting it into your computer using an adapter.Wherever you are in the world, with no need for a networked video recorder, while any motion-triggered recordings can be saved in the cloud or locally on a micro SD card . Max support 128 GB card (card not include). 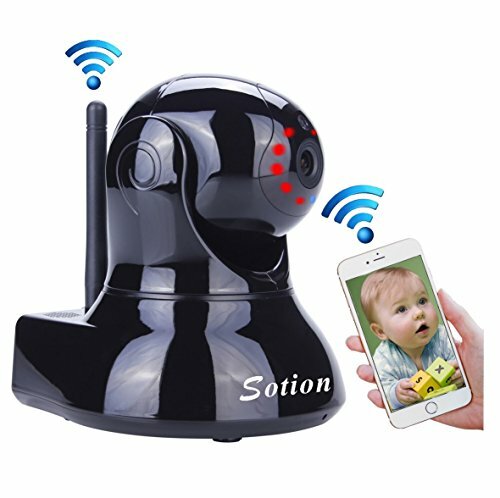 ★【Our services】:If you have any problems about this baby camera,like camera installing ,software download in mobile or pc, camera ip sharing or any others,please send us email in any time. Or contact with our technical eric.aftersales@outlook.com.He will solve your problems as soon as possible. 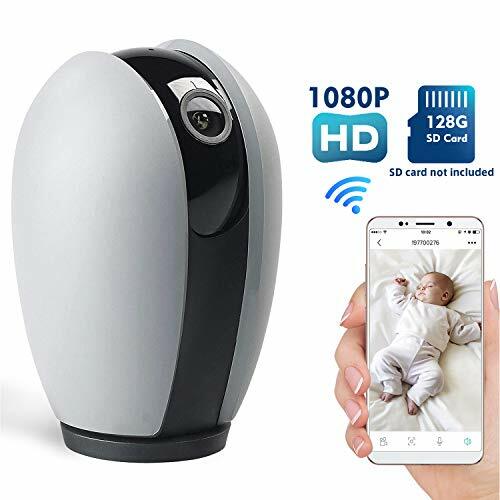 Smart Alarm And Two-Way Audio: Intelligent motion detection alarm/alert, every potential risk will be identified accurately and sent to you immediately. 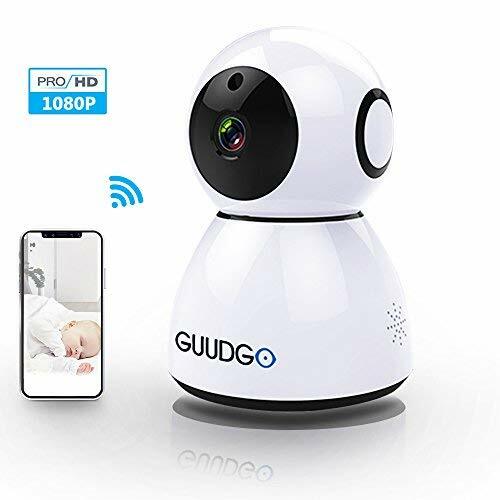 The baby/pet monitor camera has advanced two-way audio with high quality integrated microphone and crystal audio output speaker, both parties talk and listen freely for maximum flexibility. 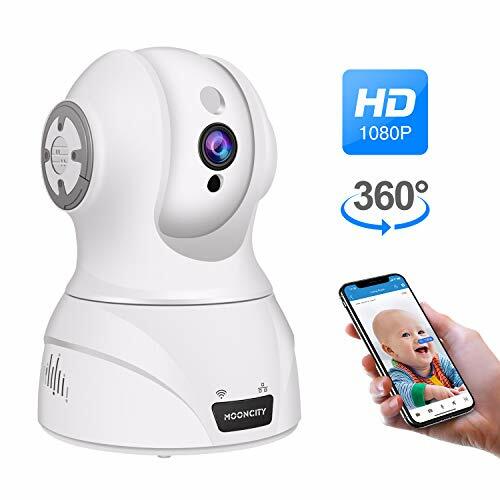 Intelligent Pan/Titl/Zoom and Clear Image: This camera for home security ensure the safety of our customers, their loved ones, homes, and businesses. 960P High-definition, 90° wide-angle advanced glass lens combined with 355° horizontal & 110° vertical rotation range create a complete 360° coverage. 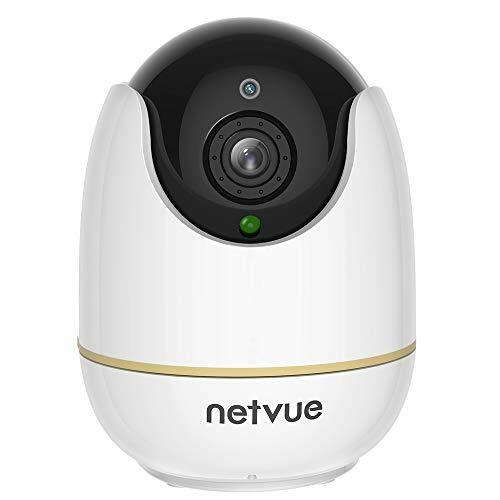 Advanced Night Vision System: This wirelss security camera system provides clear night vision up to 30 feet through infrared red light. It can be used for monitoring your shops, meeting room, office, your pets, nanny, or ederly people. And video recording storaged in SD card,then you can playback the images and video recorded on the App or PC anytime. Easy Setup And Stable Connectivity: Special SotionCam App and software design based on user's needs. User-friendly and intuitive app to customize your settings, one minute quick setup and extremely stable Wi-Fi connection. Surveillance wifi camera with audio indoor that ID and default password change required for the access safety. 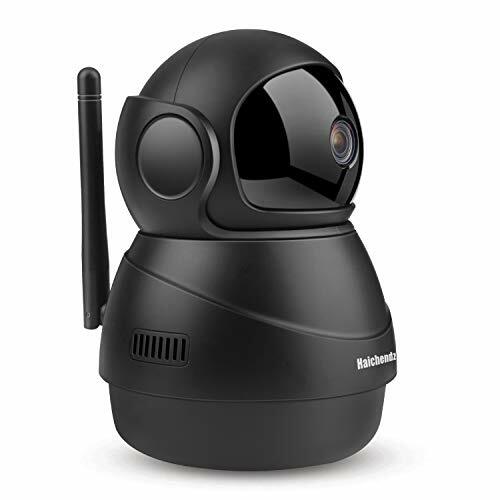 Secure And Reliable Warranty: Strong WiFi signal by a 2.4G antenna enabling longer distance than 5G with option use higher gain antenna 5db; all cameras CE, FCC, RoHs Certificated and UL compliant with the Adapter. You'll receive a full 1-year US Warranty and Lifetime Support provided directly from Sotion. 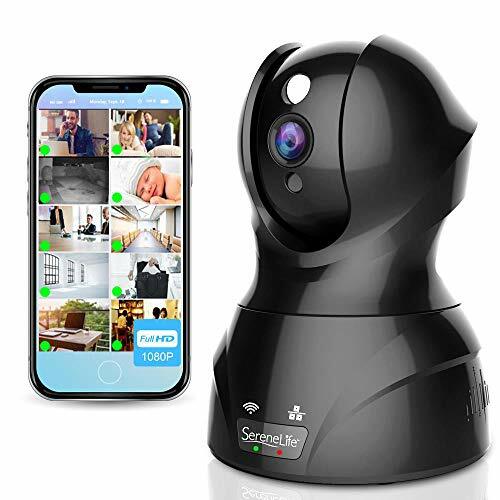 Motion Detection Alert and Night Vision Function: The camera will send alarm to the APP when object motion is detected within monitoring area, which helps protect your home from theft and vandalism. 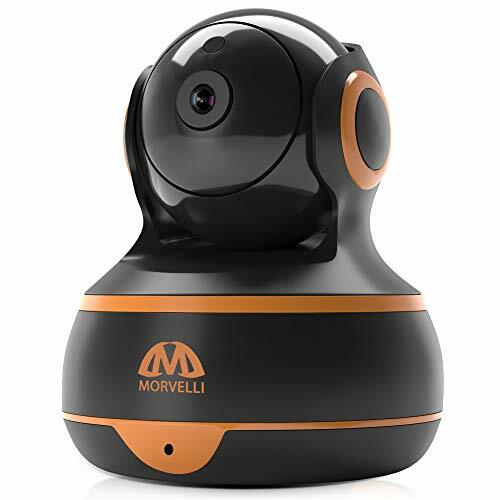 Motion detection sensibility can be adjusted, When the camera detected abnormity, instant alarm videos will be sent to you. Wide-Angle Lens & Smooth Video: 120° wide-angle advanced glass lens combined with 355° horizontal & 90° vertical rotation range create a complete 360° surveillance coverage with practically zero blind spots. Large Storage Capacity with Safe Data:Up to 128G micro sd card(10 class) is supported via loop recording. meaning you can save video file of totally 60 days! That is quite helpful to constantly stream and record something important for urgent need. 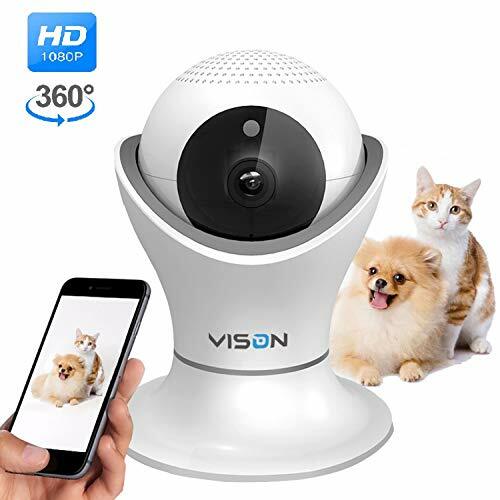 Night Vision & Clear Two Way Talking:The built-in microphone and speaker allow real time voice communication between the APP side and camera side, so you can give instructions to your dog or kids directly through the camera. 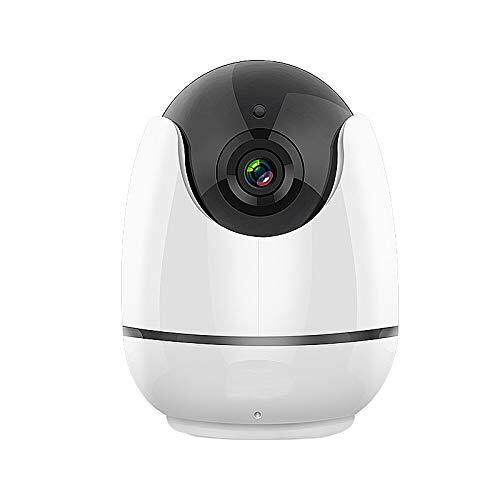 With built-in hot spot, the camera can be connected via LAN at close range, or remotely via the network. 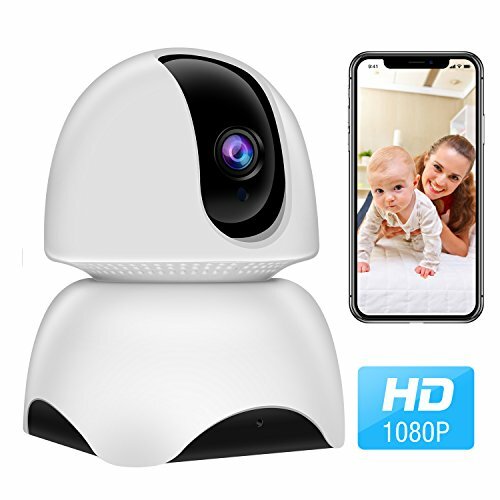 【FULL 1080P HD VIDEO CAMERA】FREDI full HD home camera with 1920*1080P resolution at 25fps,the living stream can be accessed via iOS/Android mobile Phone, Windows PC Software and http web browsers, you may use it as a baby monitor to view your baby even you are outside home. 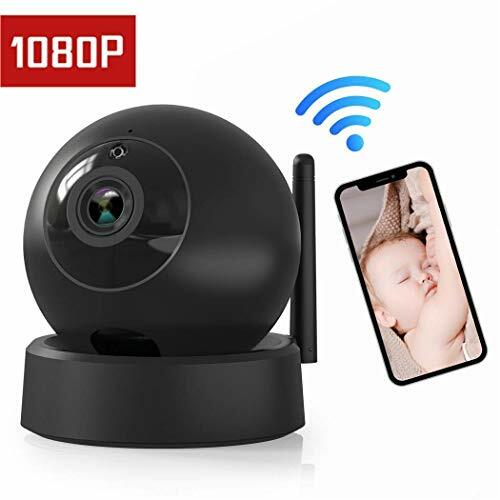 【Reliable2.4G WiFi CONNECTION】Quick WiFi setup via mobile App on iPhone or Android smartphone(5G is not supported ) Wireless security camera supports remote access via mobile App anywhere and anytime. 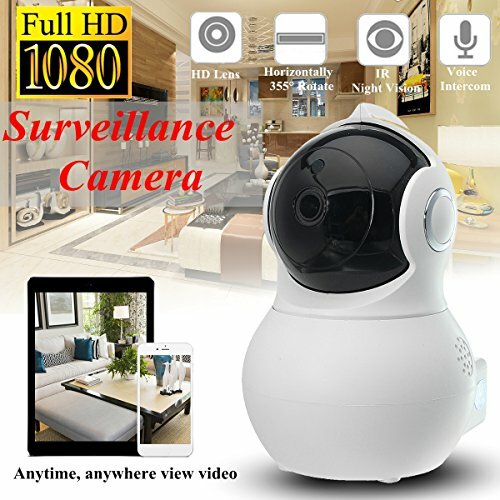 This security camera with Micro SD card slot (max 64GB supported), the videos can be saved and playbacked on Windows without taking it out of camera. Support Windows 7/24 videorecording, if camera be stolen, you can check your local computer to see what happened. 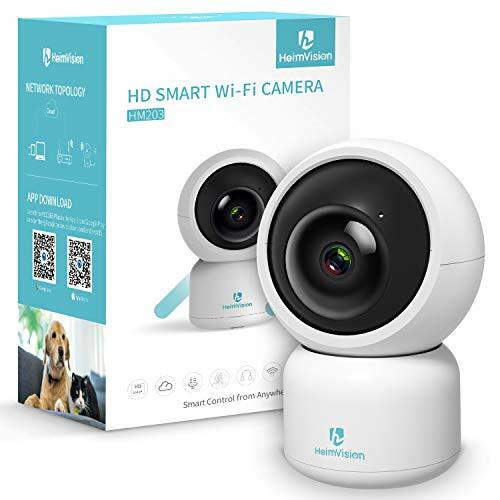 【SMART PAN/TILT CAMERA】This wifi ip camera provides wider viewing angle with horizontal 355 degree(pan) and vertical 90 degree (tilt) for complete coverage of your home. 【SATISFACTION GUARANTEE & SECURE PRIVACY】Our team of specialists 24/7 ready to help you! Support WPA2-encrypted wireless network. Remote monitoring technology based on servers with https communications protocol. Ensure information between user and site/servers cannot be read or forged by any third party. 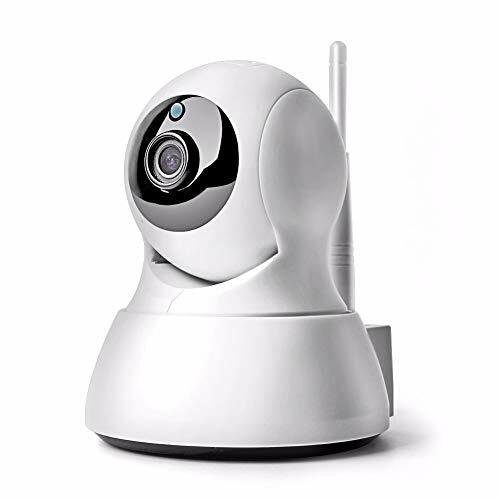 You have the direct connection with the wifi camera, the ip camera's video wont be saved on any servers or forwarded by manufacturer. 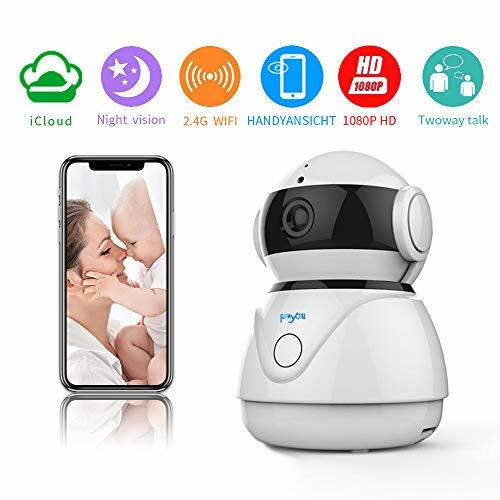 【CLEAR TWO-WAY AUDIO& NIGHT VISION】Remotely talk and listen via mobile App even in the dark with the IR LED night vision up to 20 feet.So you can keep in touch with your baby when you miss him and want to talk to him. 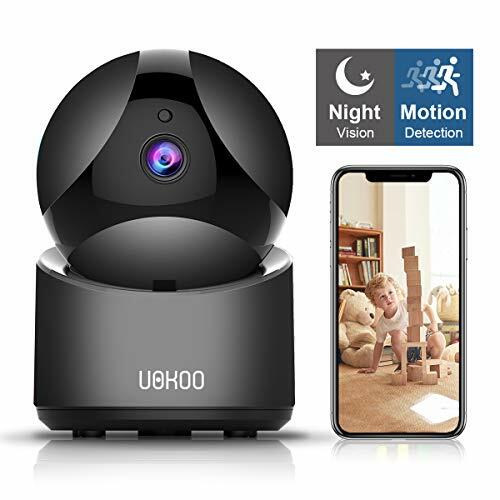 This home security camera gives you fantastic night experience even in pitch dark and full protection to see the whole room at night - not just a limited spotlight view at anytime of day or night. It also can be used for shops, meeting room, pets,nanny, elder monitor. 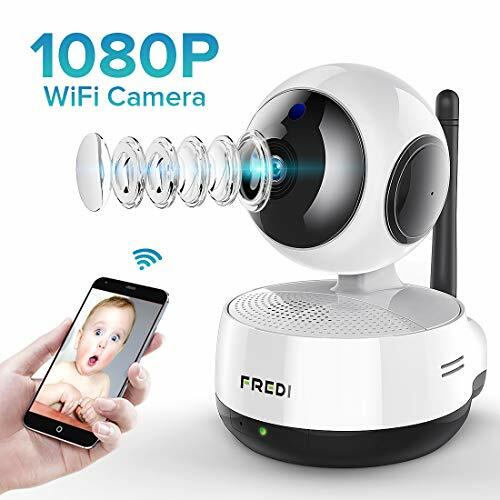 FULL 1080P HD VIDEO CAMERA:FREDI full HD home camera with 1920*1080P resolution at 25fps,the living stream can be accessed via iOS/Android mobile Phone, Windows PC and Apple Mac Software and http web browsers, you may use it as a baby monitor to view your baby even you are outside home. 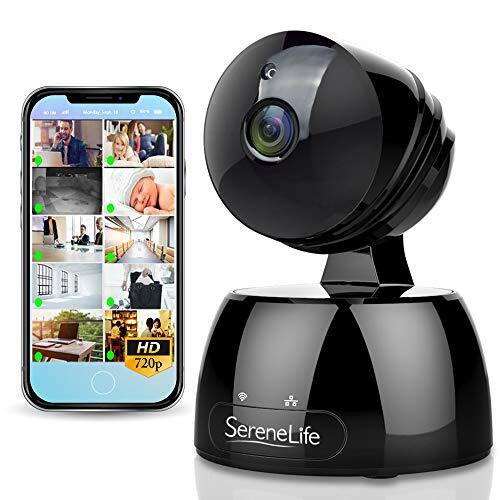 WARRANTY - 1 Year Free Warranty + Lifetime Technical Support.NO RISK of PERSONAL INFORMATION:if you can't search the camera's wifi or in first time connection,you can search the camera's wifi,but after,if it can't connect wifi,you need reset it immediately. IF YOU HAVE ANY PROBLEMS(like refund,return,replace,etc),PLEASE SEND EMAIL TO ussupport@fredicctv.com on MONDAY-FRIDAY.we will reply you within 24 hours. 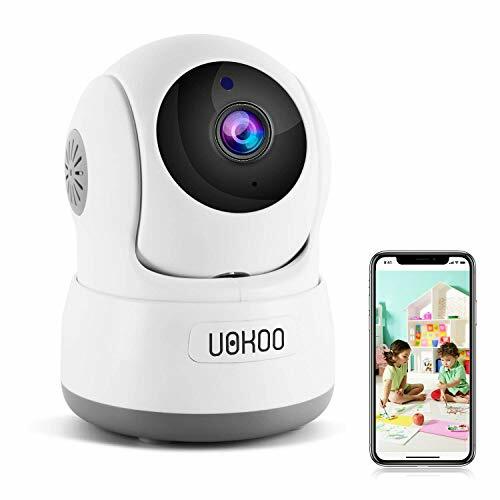 7/24H VIDEO RECORDING: This security camera with Micro SD card slot (max 128GB supported), the videos can be saved and playbacked on Windows and Mac laptop without taking it out of camera. Support Windows and Mac 7/24 video recording, if camera be stolen, you can check your local computer to see what happened. 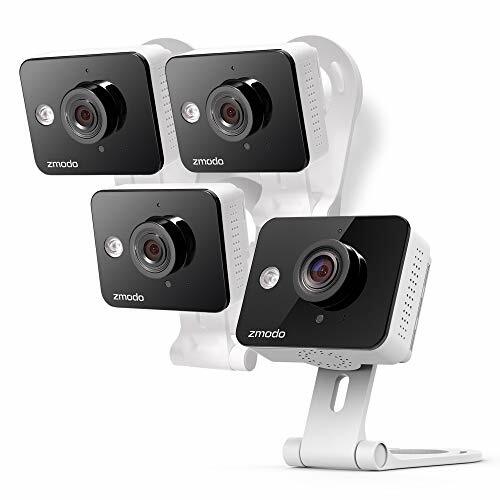 Up to 4 persons to mult-view for several home cameras at the same app, so you won't need to switch one camera to another to check what happening for a certain camera. 【Easy setup with 2.4G Wi-Fi】: important tips before connection: IP/network-2.4GHz wireless(incompatible with 5GHz). 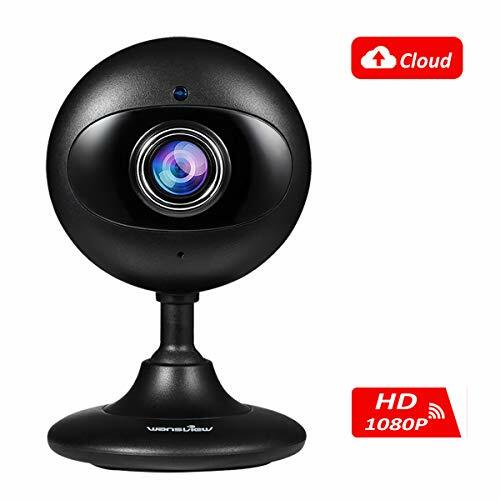 if your router supports both band, please connect mobile phone with 2.4G Wi-Fi download Wansview app on your mobile phone so as to configure 2.4G Wi-Fi to Wansview 1080P camera step by step, no complicated setting needed of this wireless surveillance camera. 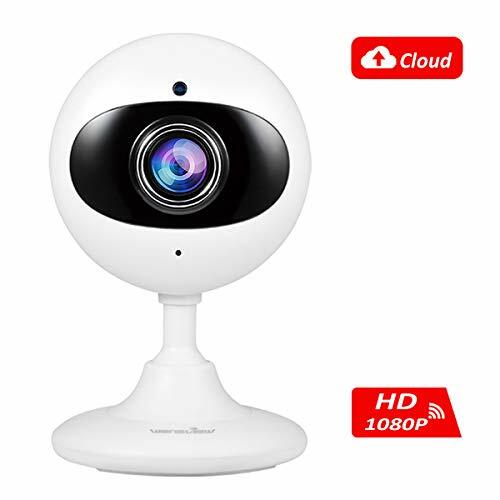 【Mini security HD camera】: Wansview 1080P Wi-Fi camera is super slim(lengh: 60mm wide: 60mm) but comes with 8 feet power cord far enough to reach faraway power socket( no battery inside need direct power supply). easily mount on your wall, ceiling or table. And micro SD card (max 128GB supported) for 24/7 video Recording and playback. 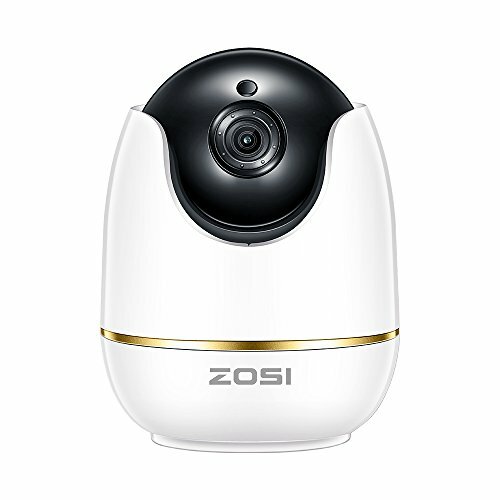 【Wider vision & multi-view】: remarkable view with super wide 120 Degree viewing angle, with an adjustable base, you can manually adjust the viewing angle, Use one Wansview wireless camera to capture an entire room without ever having to pan or tilt. Multi-view for several home cameras monitoring at the same screen, so you won't need to switch one camera to another to check what happening for a certain camera. 【Excellent day/Night vision & Crystal two-way audio】: intelligent IR-CUT switch ensures clear and high quality images day and night. 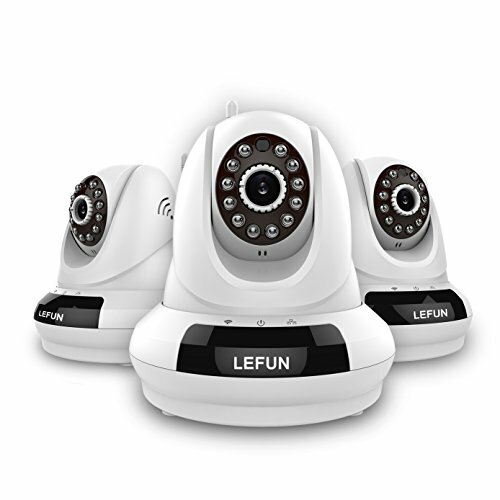 Four IR LEDs, night vision up to 20 feet in pitch dark. Built-in mic and speaker offer you a smooth conversation with your family at anytime, anywhere with your mobile phone, tablet or PC. ✅(1). 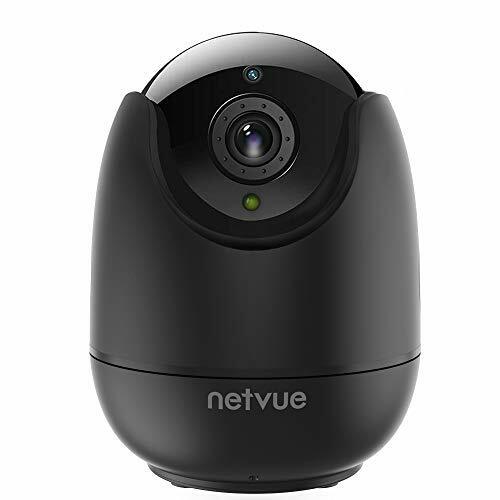 1080P Video Quality and Complete 360°Coverage: Full HD 1080p(1920*1080TVL)High-Definition video format,it provides wider viewing angle with horizontal 355 degree(pan) and vertical 120 degree(tilt),practically zero blind spots. ✅(3). 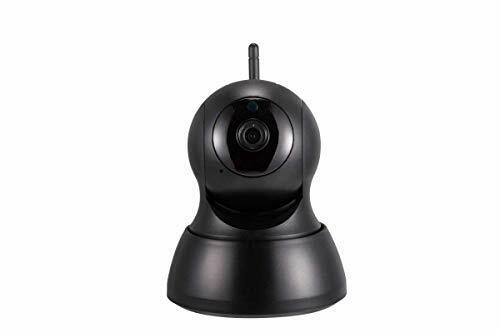 Two Way Audio & Night Vision:Intelligent microphone with a built-in anti-noise filter and speaker for a clear 2-way talk experience,besides,the ip camera equipped with 1/2.7 COMS sensor,3.6mm lens and 11pcs Infrared IR lEDs,night vision can up to 32ft(10m),remotely talk and listen and view the clear images via app even at night.You can use this camera to monitor your baby,nanny,elder,pets,shops and so on. ✅(5). All systems are CE & FCC certified with qualified power supplies.Free Return & Exchange Service within 60 days and Life-time Free Technical Assistance//// If you have any quesitons,please just feel free to call us or email us! Definitely respond within 24 hours! 【VIDEO SECURE MEET FINANCIAL ENCRYPTION STANDARD &MULTIPLE USES】①Remote monitoring technology based on servers with https communications protocol. 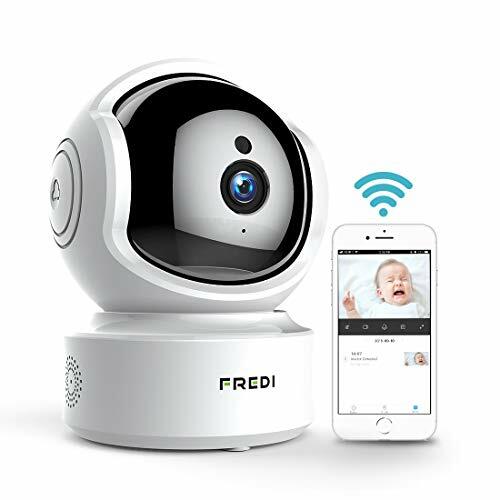 Ensure information between user and site/servers cannot be read or forged by any third party.②If you are looking for a high quality and safe baby camera,pet camera,dog camera, or home security camera,FREDI wifi security camera is your best choice! 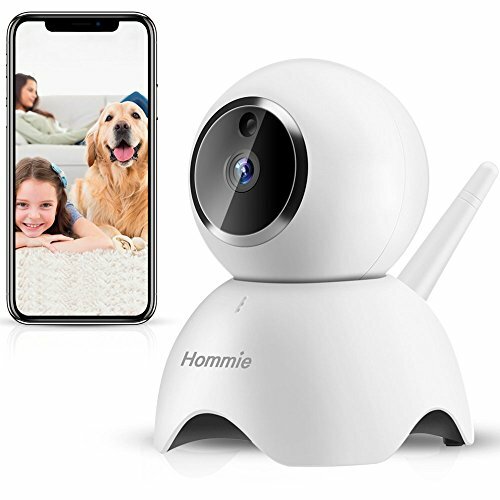 【BEST QUALITY AND SERVICE】①Our home security camera use the best monitoring technology, allowing you to follow the growth of your baby or pet anytime, anywhere, and all videos can be play backed. ②If you meet any problems about the security camera, don't worry!We will provide you with the best after-sales service!You just need to contact us or send email to : f-support@fredicctv.com. 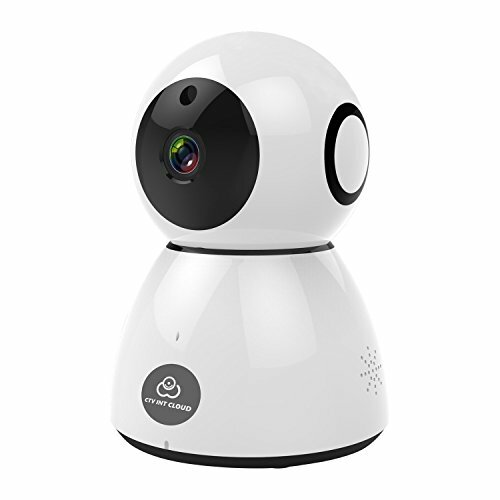 【CLEAR TWO-WAY AUDIO& NIGHT VISION &INSTANT ALARM】①When you want to talk with your baby or pet, you could interactive with him timely by the security camera. 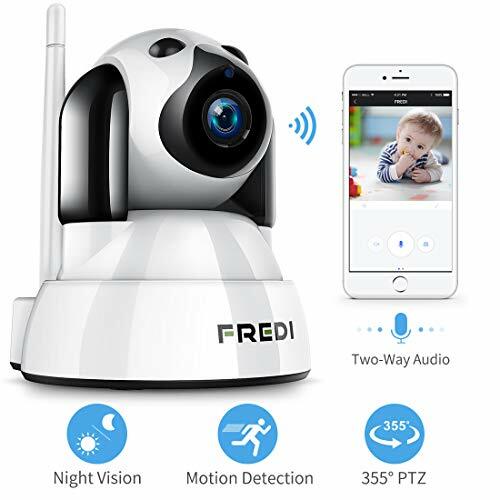 ②FREDI security camera supports a night vision range up to 32 feet/10 meters, which could act as a deterrent against theft. 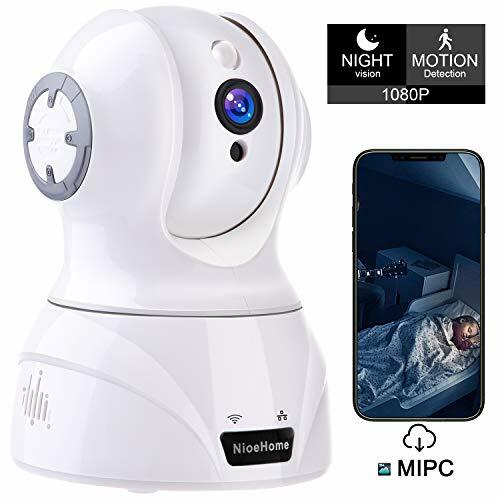 When an action is detected, the app will send an alert to you on time③This night vision camera provides a stunning clear vision through 11 infrared LED light without disturbing your baby or pet! 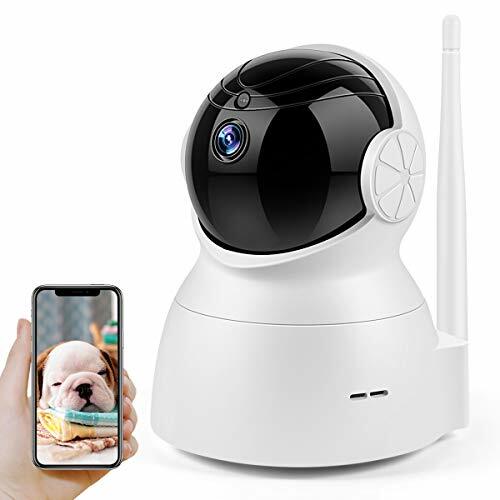 Reliable2.4G WiFi CONNECTION: Quick WiFi setup via mobile App "Wansview" on iPhone or Android smartphone(5G is not supported ) Wireless security camera supports remote access via mobile App anywhere and anytime. 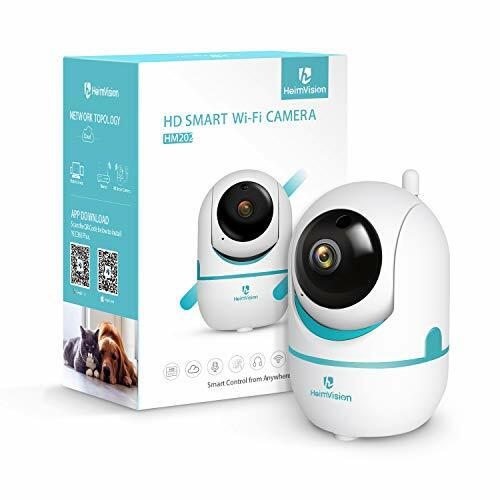 This security camera with Micro SD card slot (max 128GB supported), the videos can be saved and playbacked on Windows and Mac laptop without taking it out of camera. Support Windows and Mac 24/7 video recording, if camera be stolen, you can check your local computer to see what happened.